The gallery is currently displaying a stunning exhibition of mid-century Italian Graphics curated by SEA Design for Fedrigoni Papers. Blink and you’ll miss it – the show closes at 5pm today. You can still get free tickets via Eventbrite. 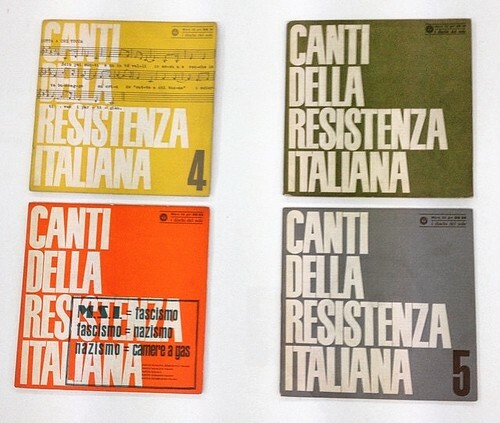 Seven-inch sleeves designed by Giancarlo Iliprandi. The event, generously sponsored by Monotype, featured short presentations by Brian Webb (Webb & Webb), Giulia Garbin and Patrick Stevenson-Keating (Studio PSK), which complemented the ‘Made in Italy’ theme, with subject matter ranging from the Futurist past to the interactive present. Webb gave a fascinating overview of Bruno Munari’s career, name-checking Alessandro Colizzi’s Eye 85 article about the influential Italian designer, ‘Milan’s anarchic Modernist’. Bruno Munari. 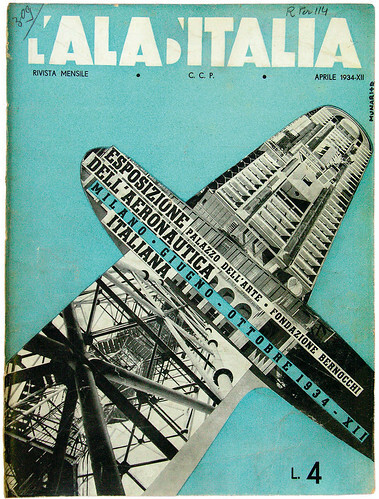 Cover of L’Ala d’Italia, April 1934. Garbin told us about the process that led to her letterpress / linocut book Tipi di Torino, and played a short extract from a video about the project. 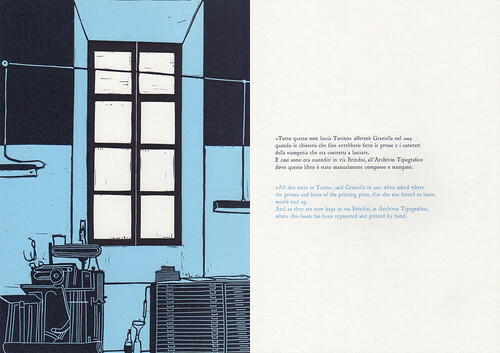 Spread from Tipi di Torino (2015), by Giulia Garbin. Video of the printing of Tipi di Torino. 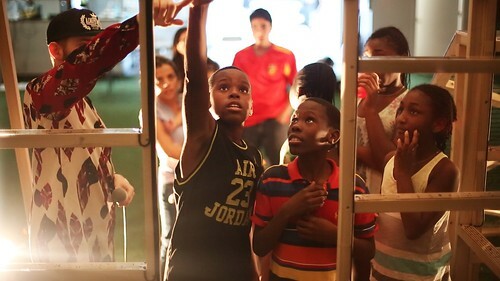 Studio PSK’s Stevenson-Keating presented some slides and video clips about ‘Polyphonic Playground’, the interactive project that he and Garbin devised for sites in Miami and Milan in collaboration with musician Reeps One. Polyphonic Playground (2015) by Studio PSK / Giulia Garbin with Reeps One. Londoners will get a chance to clamber on the playground in the UAL Mare St campus at the 2015 London Design Festival, next September. 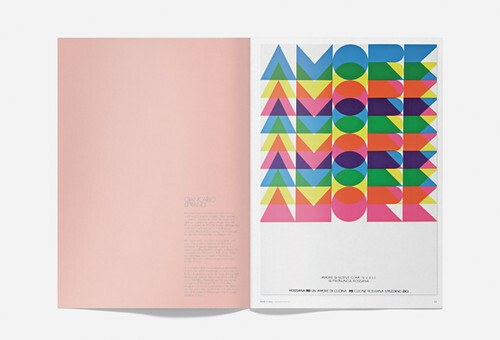 Spread from Made In Italy shows work by Giancarlo Iliprandi. 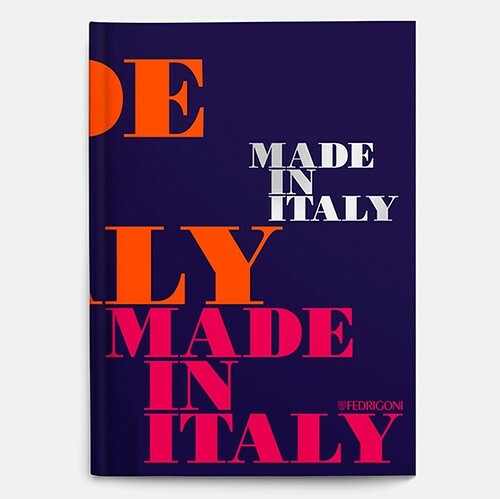 You can see some of the work from the exhibition in Made In Italy, a handsome casebound book published by Fedrigoni and designed by SEA Design. Made in collaboration with the AIAP [Italian Association of Visual Communication Design] this features work by Grignani, Iliprandi, Vignelli, Bassi, Dagrada, Ricci, Castellano, Coppola, Waibl, Confalonieri, Negri and Noorda, with an introduction by Francesco E. Guida and a foreword by Eye editor John L. Walters. Made In Italy for Fedrigoni UK. Design: SEA. 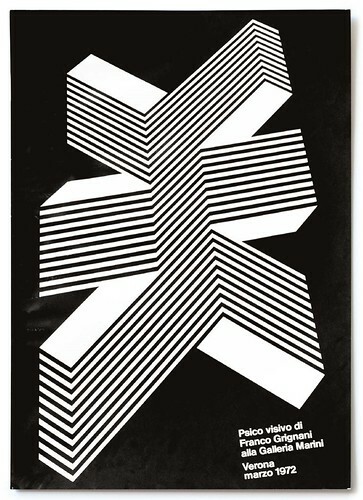 Poster by Franco Grignani, 1972. 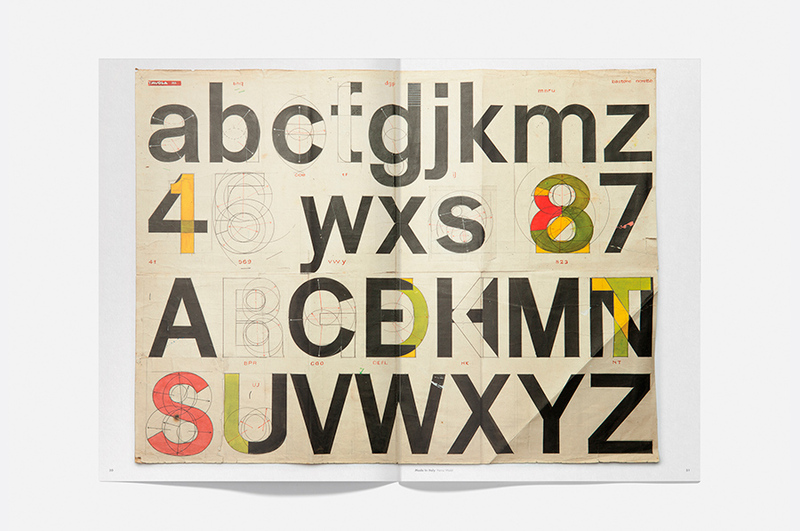 Munari article in Eye 85.